Liam Cameron, 19-5 (7), insist he isn’t paying much attention to Sam Sheedy’s verbal or Twitter proclamations ahead of their upcoming derby encounter. The Sheffield fighters will clash for Sheedy’s Commonwealth middleweight belt on October 13 at their home city’s Ponds Forge Arena. Ahead of the bout, the duo have traded barbs on social media but ‘Cannonball’ Cameron insists his opponent isn’t getting under his skin. “Sam’s a bit of a loony tune! You don’t know whether to believe what he says or not. He’s told people he’s had to fight me because I’m mandatory, which is rubbish. He’s had to fight me because he’s been pushed into it as we’re both from Sheffield. I can hardly be mandatory when I’ve not even boxed at middleweight for years. So, he’s lied there. 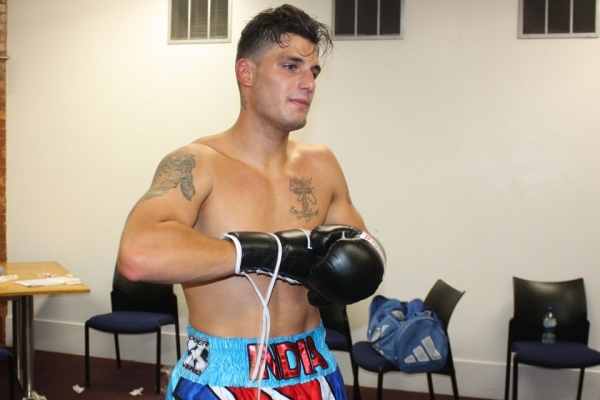 When Liam meets Sheedy, 18-2 (4), it will be a third crack at Commonwealth honours for the former ABA champion, after unsuccessful attempts at super-middleweight against Luke Blackledge (April 2015) and Zac Dunn (November 2016). Believing this is a ‘last chance saloon’ scenario, Cameron is buoyed by his previous experience of sparring Sheedy, and is convinced he will stop his ‘Steel City’ compatriot in the later stages of the fight. “When I sparred Sam. I got to the gym and Glyn Rhodes said ‘let’s only go sixty per cent, because Sam’s not been in the gym much’. So, I can’t really take much from that spar. All I know is that it was a waste of time going. I really think I’ll stop Sam, after the second half of the fight. Dennis Hobson Promotions presents Sam Sheedy defending his Commonwealth middleweight title against Liam Cameron at Sheffield’s Ponds Forge Arena on October 13. The event will be shown live and free on FreeSports TV (Sky Channel 424; Freeview Channel 95; Talk Talk Channel 95; BT Channel 95).